Give static files a new engaging way to deliver contents. 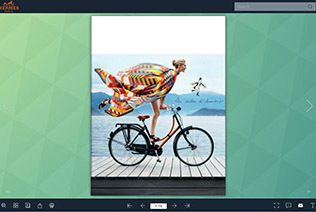 Flip PDF Professional is an awesome brochure design software to convert plain images or PDF files into high-performing digital HTML5 brochures in minutes. You will make a professional impression by providing multimedia brochure reading enjoyment on all devices (desktop, mobiles or tablets). 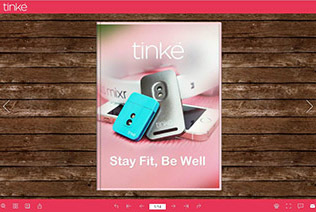 Enjoy page flipping brochures on devices like readling a real book.You are able to flip brochure pages by dragging corner, clicking page shadow or scrolling mouse wheel. Amazingly, Auto-Flipping Mode makes you to read brochures easily without turning the pages manually one by one. 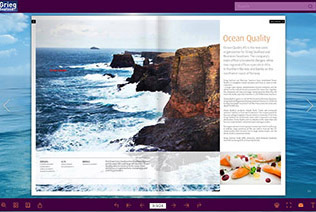 Design stunning visual contents to wow readers. Flip PDF Professional enables you to utilize slider, audio, video and hotspots to beautify plain pages. Digital pages that embedded media are intuitive to impress. Have a Google Analytics account and embed Google Analytics tracking code to each online brochure, tracking the performance of each page and every interactive event. Better understand readers is beneficial for growing readership. Setting up a logo image, brand logo or website icon for each brochure is helpful for building up brand awareness. You can also add logo link so that readers can click and view your website.